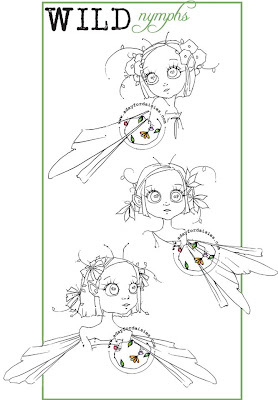 There are loads of new digi stamps over at ADFD - I had to have the Wild Nymphs, they are SO cute!! This one is the Wild Rose Nymph and she is 50% off at the moment. I got to use my new Spellbinder gold dies (labels four) AND learned how to partially die cut a frame - I am quite pleased with the end result. She was coloured with copic pens and i have also applied glossy accents to the eyes and liquid pearls to the flower centres. The sentiment is from Stephanie at Whimsical designs. 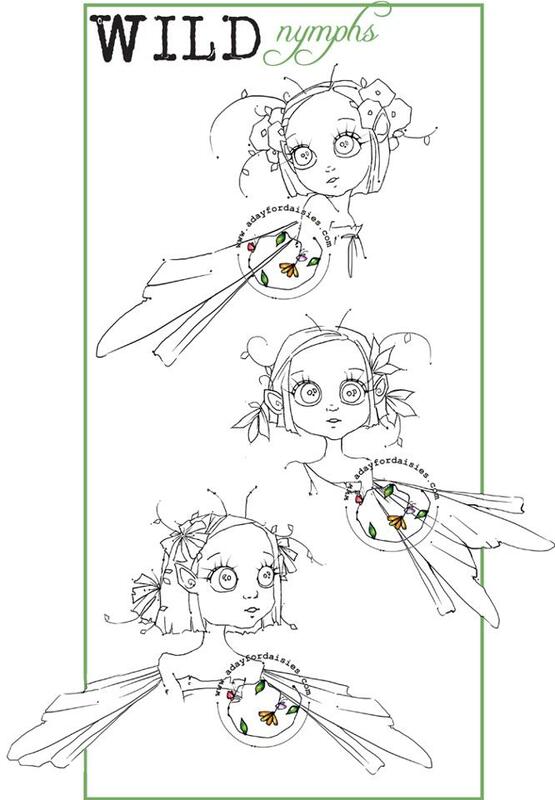 I have used glamour dust on the wing and dotted some stickles around her head. The challenge at ADFD is to use lace , so I have added Lacey doilies and a strip of lace. These are the adorable Nymphs. Wow!! I can't get over how adorable/gorgeous you are making these little Nymphs. I love the lacey layers, and the colors are perfect!! Isn't she cute?! Love green eyes! Lovely sparkly job on this! Thanks for playing with ADFD! Love your card, and the stamp is just adorable!! your nesxt post, I'll trry to get the hanmg of it!